Lease-to-own living/bedroom/dining room furniture, appliances, TV’s, and electronics. Furniture brands Ashley and Primo Mazin are featured with televisions from Toshiba, Sony, and Samsung. Computers: Acer, Apple i-Mac, Hewlett Packard, Asus tablets. No down payment, No credit check, No hassle return. 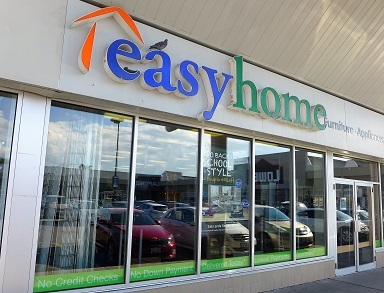 Easyhome Ltd. is Canada’s largest merchandise lease company, and the third largest in North America, offering top-quality, brand name household furnishings, appliances, and home electronic products to consumers under weekly, or monthly lease agreements.